February 1, 2019 – Yonkers, NY – Almost 2 percent of babies born in the United States today begin as embryos conceived in the lab via in vitro fertilization (IVF). The growth of reproductive medicine has benefited millions and new technology is making it increasingly possible to preserve and extend fertility, and to pick and choose between embryos. But many of these advancements have raised ethical questions. In “Designer Babies (You Say That Like It’s a Bad Thing,” a panel of experts in the field of genetics will discuss the effects of IVF and preimplantation testing on those who use it, and on those who don’t. The program will be held Monday, February 25, 7- 9 p.m. and will feature Dr. James Grifo, Program Director of the New York University (NYU) Langone Fertility Center; Laura Hercher, Director of Student Research for Sarah Lawrence College’s Joan H. Marks Graduate Program in Human Genetics; and Josephine Johnston, an expert on the ethical, legal, and policy implications of biomedical technologies. This event is free and open to the public. To RSVP please e-mail [email protected]. James A. Grifo, MD, PhD has been the Program Director of the New York University (NYU) Langone Fertility Center since 1995. He is also the Director of the Division of Reproductive Endocrinology and a Professor of Obstetrics and Gynecology at the NYU School of Medicine. Dr. Grifo has pioneered techniques in preimplantation genetic diagnosis (PGD) and preimplantation genetic screening (PGS). In 1992, he performed the first embryo biopsy that resulted in a live birth in the United States. A leader in egg freezing, Dr. Grifo’s research team produced the NYU Vitrification Method, which has been in use at the Center since 2004. The first baby born through the use of egg freezing at the Center was in July 2005. A member of the American Society for Reproductive Medicine (ASRM) since 1989, Dr. Grifo has served on the Ethics Committee and is past president of the Society for Assisted Reproductive Technologies (SART). Dr. Grifo has received many honors during his career, including the President’s Award from RESOLVE and the SART prize for research. His book, The Whole Life Fertility Plan, co-written with Kyra Phillips, was recently published. 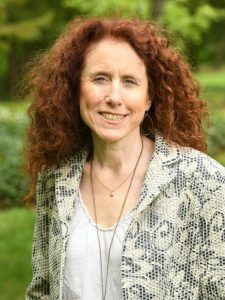 Laura Hercher, MS ’01, is the Director of Student Research at the Sarah Lawrence College’s Joan H. Marks Graduate Program in Human Genetics. As a writer and researcher, her work has focused on the ethical and legal questions faced by practitioners of genetic medicine. She is a frequent commentator on issues related to genetic counseling, and has written for Scientific American, Wired, Genome, the MIT Technology Review, and The New York Times, among others. Laura is a co-founder of the DNA Exchange blog and the host of “The Beagle Has Landed,” a podcast for the genetic counseling community. Her first novel, Anybody’s Miracle, was published in 2013. Josephine Johnston is a New Zealand-trained lawyer with a master’s degree in bioethics and health law. She joined The Hastings Center as a research scholar in 2003 and became director of research in 2012. Previously, she worked as a bioethics researcher at Dalhousie University and the University of Minnesota and also worked as a lawyer in both New Zealand and Germany. Ms. Johnston is an expert on the ethical, legal, and policy implications of biomedical technologies, particularly as used in human reproduction, psychiatry, genetics, and neuroscience. In addition to numerous scholarly publications, her commentaries have appeared in Stat News, The New Republic, Time, The Washington Post, and The Scientist and she is interviewed frequently by the media, appearing in The New York Times, The Wall Street Journal, The Guardian, Wired, Vice Media, and on ABC’s “Nightline.” Her current projects address the ethical implications of new kinds of prenatal genetic tests, the relationship between gene editing technologies and understandings of human flourishing, and, with colleagues at University of California, San Francisco, the potential use of genetic sequencing technology in newborns. She is also a member of Columbia University Medical Center’s Center for Excellence in Ethical, Legal, and Social Implications, looking at psychiatric, neurologic, and behavioral genetics. In addition, Johnston has, with colleagues at Kent Place School, developed a Hastings Center-style research program for high school students. Founded in 1926, Sarah Lawrence College is a prestigious, coeducational liberal arts college. Consistently ranked among the leading liberal arts colleges in the country, Sarah Lawrence is known for its pioneering approach to education, for its long history of impassioned, intellectual engagement, and for its vibrant, successful alumni. For more information, please visit sarahlawrence.edu. This entry was posted in Press Releases and tagged Discussion, genetics. Bookmark the permalink.